Flanges to connect pipework. We can offer PN6, PN16, ASA150, ASA300 in Weld Neck Slip on & blanking. For prices and available sizes give us a call or fill in a request a quote form. Flanges can be implemented into any pipe system to strengthen current connections and to create new connections. Due to the fact that these connections are extremely secure, these flanges can resist great pressure and temperature fluctuations. This makes flanges extremely viable in water piping systems but can even be used with more demanding liquids. 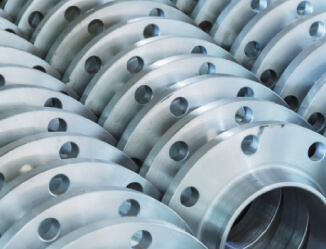 South West Steel offers a wide array of flanges. If you are looking for these products and wish to see dimensions and prices then do not hesitate to contact us today for a free quotation.